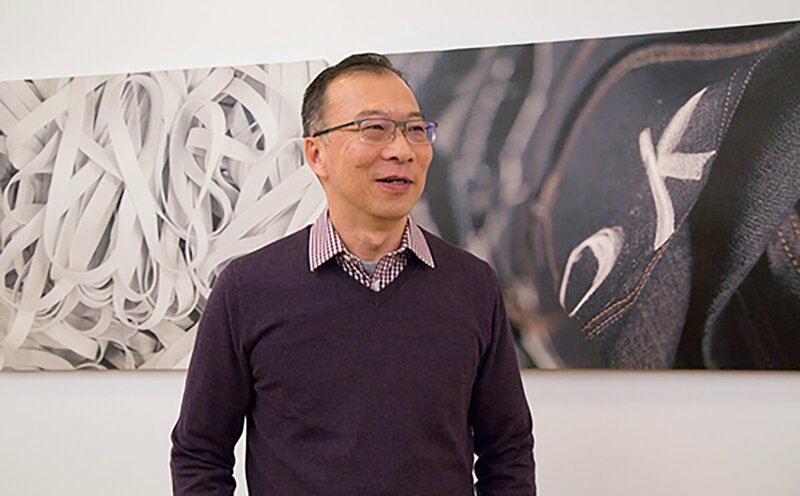 Sewing Clothes and Sowing Seeds Of Opportunity | Gap Inc.
William Lee's guiding philosophy is simple: If people are treated well, they build livelihoods instead of simply performing tasks. William, as Gap Inc.'s Senior Director of Supplier Sustainability, applies this principle to building indelible relationships with vendors who manage factories that make clothes for Gap Inc. brands sold around world. He sees it as his mission to work with and influence factory owners, helping them create a culture in which people aren't just sewing clothes, they're sowing seeds for their own advancement. Doing this builds not only a business, but a culture where people can succeed. Putting himself in the shoes of a garment worker, William noted: "If my supervisors are not treating me well or respecting me, then I don't feel motivated," William said. "I may still do my job, but I'll treat it as just a job. Not my career. Not where I belong. Not my family." William, currently based in Hong Kong, has been a member of the Global Sustainability team for his 16-year career at Gap Inc. Every day, he and his team, in locations all over the world, help drive the evolution of the company's approach to factory assessments. Historically, these assessments across the industry have been more of a check-the-box process: Is everything up to code? Are the proper safety measures in place? Is there any employee feedback to review? Today, partnerships between Gap Inc. and its vendors have become far more strategic, where both parties are invested in the benefits of a long-term relationship. To that role, he brings a fierce adherence to the golden rule, as well as a 360-degree understanding of what it's like to work in a garment factory: first as a floor manager and then serving at the helm of one before he joined Gap Inc. When he worked for a smaller company, William says he felt he had a relatively smaller impact on the lives of factory workers. Working for Gap Inc., which does business globally, packs a greater punch for William, who says the positive effects of his team's work ripple farther, faster. "Business performance is important. But how we get things done is also important," William said. "How people producing our goods are being treated; that resonates with me so much. There are a few companies who invest so much in making sure its people are being respected and well-treated. That is something that motivates me." William acknowledges that culture isn't a 100-percent foolproof path to quality clothes. But he says a successful company cannot have the latter without the former. To William, clothes are a tangible representation of factory workers' fulfillment in their jobs. While customers might see garments with complicated, sophisticated details as special-occasion clothes, William and his team see them as premium products, produced in well-managed factories by skilled factory workers. Even for so-called commodity product, like the basic staples of an assortment — a round-neck T-shirt, for instance — quality is an important piece of the puzzle; but it's not the only one. The work of the Supplier Sustainability team even impacts how the company buys and sells product sold in Gap Inc. stores over the world. All of this — morale and improved working conditions, as well as the quality and quantity of clothing produced — are inseparable pieces of a whole for William. Just as it's essential for a person to trust his or her managers, it is essential for a vendor to trust the company with which it is partnering. Gap Inc.'s focus on building longer-term relationships with its strategic suppliers helps its Supplier Sustainability team address the root of the problem and influence patterns of behavior, William said. In turn, this approach helps foster an ongoing dialogue that yields quicker and more sustainable solutions when compliance problems arise. As with any working relationship, a responsive attitude and demonstrated interest in partnership make some vendors stand out more than others. While partnership is key, so is giving vendors the tools to manage themselves: by coaching and guiding them toward their own people-focused cultures. Fostering opportunity, such as through Gap Inc.'s P.A.C.E. program, is one way to influence the culture of a factory. P.A.C.E. is a life-skills education and training program that provides opportunities for women to gain the skills and confidence they need to advance at work and in life. Since launching in 2007, more than 35,000 women in 12 countries have participated in P.A.C.E. In September 2015, Gap Inc. announced a commitment to advance the lives of one million women through P.A.C.E. by 2020. Assessments conducted by the International Center for Research on Women showed that P.A.C.E. graduates are more likely to be promoted to supervisory positions. They also demonstrated higher self-efficacy, they were more willing to be cross-trained to become multi-skilled, they tended to stay longer with their employers and they were more productive. William and his team, with their direct line to the factories, are in a unique position to experience the quantitative and qualitative impact of these efforts. In addition to impacting life in the factory, William believes investing in women has an impact on future generations. On the factory floor, women are more likely to confide in and connect emotionally with female supervisors, William said. At home, women have greater impact on domestic life, which includes how children are raised and whether they're encouraged to pursue education. Women who've reaped the benefits of education and workplace mobility are more likely to encourage it in their children, William said. Though there is a huge focus on relationship management, William and his team also connect with vendors about problems, the tangibles (workplace safety) and non-tangibles (respect and fair treatment) in their work environment. Committees are formed to promote better communication within factory walls, as well as make recommendations for improving workflow or maintaining a healthy, safe work environment. William's ideal state, at the end of the day, is a win-win-win for factory workers, factories and Gap Inc.
"[My team's work] isn't only about factory worker welfare and empowerment," William said. "It's linked to quality for our customers, to a responsive supply chain that better supports our product journey, to better partnerships with our technical team, to helping our factories be more effective."